Think you have found the dog of your dreams? Don't miss out on the opportunity of adding your new fur-ever friend. Fill out our adoption application and schedule a 'meet and greet' appointment. Every donation can help make a difference in the life of a pet in need. Donate your pet's old hand me downs, time or home. Any contribution is gladly welcomed and greatly appreciated. ﻿﻿Joy of Life Rescue is a ﻿Southern California rescue. We are a foster based rescue and do not have a physical address or facility. We rely solely on the help of our dedicated volunteer foster parents who offer their time and resources to house, train, transport and care for our pets until they are adopted. 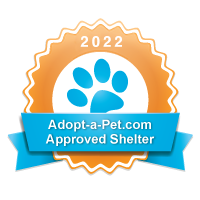 Our mission is to help establish and acknowledge the safety and welfare of all pets in need. Copyright © 2016 Joy of Life Rescue, All Rights Reserved.